What have we learned from the fate of the national parks during the government shutdown, should you visit them, and how do you prepare yourself for an enjoyable visit that doesn’t have negative impacts on the parks? A U.S. government shutdown first affects unpaid federal workers, but beyond them, the most visible effect is on our national parks, which should say something to their importance to us as a nation. The national parks remain semi-functional without staffing, so what to do? During the previous extended shutdown of 2013, the National Park Service (NPS) closed all units to the public. This caused a major public backlash, with images of closed gates flooding social media, and complaints of lost revenue from gateway communities making headlines. Park roads, lookouts, trails, and open-air memorials will generally remain accessible to visitors, but there will be no NPS-provided visitor services, including restrooms, trash collection, facilities and roads maintenance (including plowing), and public information. However, the situation varies park-by-park as some units, including the Old Post Office Tower in the same building as Trump International Hotel, get help from local governments or citizen organizations to keep more services in operation. Private operations within parks such as lodges may still continue their business. Since NPS websites are not updated during the shutdown, social media and gateway communities may be the best place to learn about the exact situation for a particular park. The decision in 2013 and prior shutdowns to close the parks was made to protect the parks and the visitors. It was predictable that without law enforcement and maintenance, the parks would suffer to some extent. For example, it is estimated by the NPS that visitors leave 2,200 tons of garbage each year in Yosemite, or 6 tons per day. Since garbage collection is not deemed an “essential service”, a large portion of that garbage is bound to overflow the trash cans. Yosemite is bear habitat, and the Yosemite bears are probably the most habituated in the world, which means that many are conditioned to scavenge near humans, making bear/human encounters potentially dangerous. The park has the most strict regulations of any to prevent bears from accessing human food, including the prohibition of overnight storage of food in cars. To that effect, bearproof boxes are provided not only at campgrounds, but also at trailheads, and even the base of El Capitan, since it takes mere mortal climbers several days to scale. With that much garbage floating around, you can imagine how easily those years of bear management efforts could be undone in Yosemite. If visitor access becomes a safety, health or resource protection issue (weather, road conditions, resource damage, garbage build-up to the extent that it endangers human health or wildlife, etc. ), the area must be closed. Parks may not bring on additional staff to accommodate visitor access. After three weeks of shutdown, the extent of the damage was high enough that some parks had to be closed entirely. Sequoia and Kings Canyon National Parks closed on Jan 2, 2019 due unsanitary conditions, overflowing trash, and lack of adequate parking. Joshua Tree National Park closed a week later due to vandalism that included graffiti, cut down Joshua trees, and even illegal new roads, along with the need to clean up garbage. Given that absent park staff, it is now apparent that the general public cannot visit responsibly, it saddens me to conclude that the best solution is to close the parks. Does anybody disagree? The above doesn’t mention that four of those deaths were suicides and that on average, six people die in the national park system each week, so it’s probably not correct to blame the deaths on the shutdown. With no ranger patrols, there is no denying that the risks to the visitors have increased, but so far the main issue for them has been the degradation of their experience in the parks, partly at the hands of other visitors. It is symptomatic that with that evidence present, it would be necessary to say that someone is dying to get their attention. That the parks are filling up with trash apparently isn’t enough. Most reporting on the government shutdown has a political slant, from either end of the political spectrum, and it is quite possible that some of the problems have been exaggerated and amplified by social media. For instance, why is this longtime Yosemite resident putting forward a third-hand report? The current administration gets much blame for what is happening in the national parks, and given the way they have treated public lands in general, it is clear that conservation is not their highest priority. However, the politicians are not the ones trashing our parks. The visitors are ultimately responsible. To me, the biggest disappointment in this shutdown has been to realize that the majority of the general public, if left to themselves, are just not caring enough for the parks to respect them. The national parks are some of our nation’s most treasured places, yet some visitors behave in them in a way they wouldn’t dream of doing at home. The parks belong to the citizens, but some are more focused on their rights to visit them than on their duty to care for them. We still have a long way to go in terms of educating the public. In that spirit, although I will assume that nothing of it is new to you, I will provide a few tips that I hope will be widely shared for the benefit of those who need them and our parks. Should you visit the parks during the shutdown? Visitation was high during the shutdown partly because there are no entrance fees since the entrance booths are not staffed. But to squeeze a visit just for that reason is a bad idea. If someone doesn’t have an annual park pass, which makes the enticement of free entrance irrelevant, they are probably not invested enough in the national parks nor experienced enough to plan a visit both enjoyable and harmless to the parks. The effort they’d have to make to prepare themselves for such a visit largely overshadows that entrance fee. A theme park costs $100 per person for one day, while Yosemite is $35 for the entire family and a week. The national parks have a problem, and those not well prepared will be part of that problem. So for most people, the best is to wait until the parks are totally staffed again before going. Those who still want to go, for instance, because of long term plans, should prepare themselves to be self-sufficient and leave no trace as if visiting a remote wilderness park. This isn’t that hard: if a backpacker can keep themselves safe in the wilderness while keeping the wild lands wild, someone driving a car should have no problem leaving the place no worse than they found it. Guests with existing lodging reservations should be just fine. Unlike others, they can also contact someone in the park to get current information. Plan your visit with maps and other essentials. With visitor centers and entrance booths closed, no park maps are handed out, and no ranger can help you plan your day. Cell phones often don’t work in the parks, so if you are coming without adequate information, you are your own. The better guidebooks include detailed maps, and there are national parks mobile apps that can be used offline (reviewed here). Rangers are not on patrol, so you need to be able to handle emergencies by yourself, and again no phone means no 911 call. Besides fending for yourself, you will also need supplies to clean up after yourself. Learn how to poop in the woods like a backpacker. Step 1: Find a spot far enough (about 50 steps) from the road, trail and water. Step 2: Dig a hole. Ideally, you would want it to be at least 6 inch deep, and you’d be prepared for that by bringing a small trowel. But even if you forgot to bring one, and I confess that I sometimes do, if you dig a hole in the ground with your shoes and then cover your mess, it will still be a big improvement over leaving it uncovered. Step 3: Carry out your toilet paper. You can easily store it in a ziplock bag. Alternatively, you could burn it (if the fire hazard is minimal), or bury it in the hole, but only if it is deep enough, as animals tend to dig them out. As disgusting as human waste sounds, bears poop in the woods too. But they don’t use toilet paper, which is even more offensive. Maybe all of that is too much of a burden or too risky – a hiker once veered out of the Appalachian Trail to go to the bathroom and was never seen alive again. Fortunately, there is an even cleaner and more versatile, but more expensive, alternative, which is to bring a human waste disposal bag. They are mandatory for backpackers in several areas of the NPS system. When you get your permit for climbing the Grand Teton, the Jenny Lake ranger station even provides you with a few. On the other hand, pee is no problem. In fact, as soil contains micro-organisms that break up organic matter, it is better for the environment to pee in soil than in a restroom. Just make sure you go far enough! Pack it out. If you know beforehand that there is limited garbage collection in the park, just pack your garbage out, and dispose of it outside the park. This should be easy since the volume of garbage is less than the volume of food brought in, but it always helps to bring some extra trash bags. And generally, even in periods of normal operation, it is always helpful to pack out your trash as a way to give back to your park. The worst you can do is leaving garbage outside an overflowing bin. Not only it gets dispersed by weather and wildlife, but it also encourages other visitors to do the same. When someone who would not have thought about leaving their plastic bag of garbage outside a bin sees that others have done so, they could reasonably conclude that it is normal practice. On the other hand carrying away other people’s garbage would set a good example, wouldn’t it? Follow regulations. Some regulations are indicated with clearly posted signs, but others may not, and you won’t find them in handouts since nobody is there at the entrance stations to provide them. Therefore, the first step is to learn about them as part of your planning, possibly on the park’s website. Regulations are there to protect the parks, and with no rangers watching, it is more important than ever to abide by them because other visitors will follow you. This is true not only for littering as outlined above, but also of all sorts of actions like bringing dogs, illegal camping, off-road driving, or venturing into closed areas. Show that you care for the parks, so that others will as well! In a forest of thousand trees, no two trees are alike. In a year of eight thousand hours, no two of them alike. Even on a dark and cold day, the sun may still shine on you. I hope you enjoy many moments of shining light in the upcoming year. On a December day more than twenty years ago, after a night spent in a sleeping bag on the side of a road, when I arrived at the main gate of Great Smoky Mountains National Park outside of Gatlinburg, a snow storm had closed most of the roads including the Little River Road and Newfound Gap Road. I could wander only along a few miles, far from any of the areas for which the park is well-known. 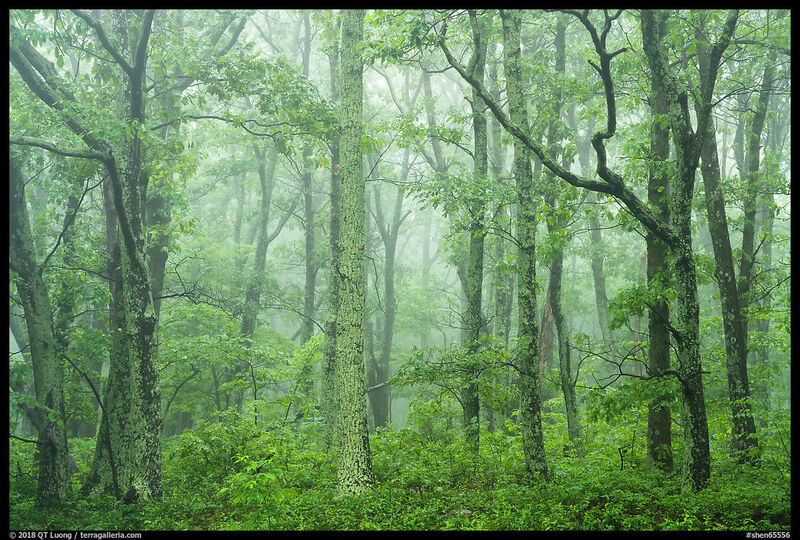 The forest at first looked non-descript, yet that day resulted in several enduring photographs, two of which found their way into Treasured Lands, including the opening endpaper. There is always something to be found if you look carefully enough. When I noticed how the light was falling on those trees, I positioned myself to photograph them in backlight against a background in the shade, and framed them with a longer lens to crop out the bright ground. Light can transform the most mundane subject! I wish everyone a year 2019 full of happiness, health, creativity, and success. My sincere thanks for your continuing readership and interest in my photography. In 2018, I spent less time in the national parks, the sole focus of my efforts for many years, and more time in other public lands. Those include the national monuments, some of which have been under the most serious threats in our history, as illustrated by the evisceration of two of the largest and most beautiful of them. I am hoping that my photography can do its humble part to bring more awareness to those lesser known lands, so that they can be adequately protected for future generations, and I pledge to concentrate my efforts on them for the next few years. Although the bulk of the Treasured Lands project is behind me, it is far from finished. I also made a number of new national park photographs, some of which will find their way into the second edition of the Treasured Lands book. Links below point to blog posts with more images and details. 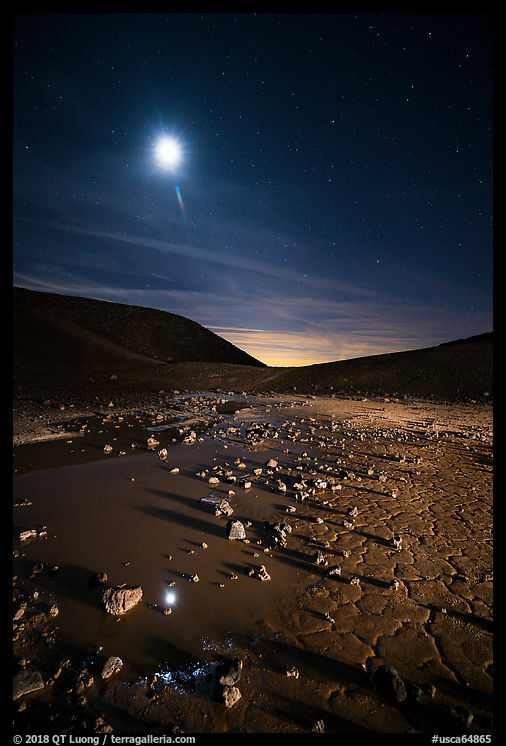 Although it may sound like a long time ago, it is less than three years since President Obama proclaimed three national monuments in the California desert. In January, I explored those new protected lands, for which there is much less information, let alone photographic information, and way fewer facilities than for their more well-known and long-established counterparts: Mojave Trails National Monument, Castle Mountains National Monument, Sand to Snow National Monument. I also visited the two slightly older national monuments located in the area. 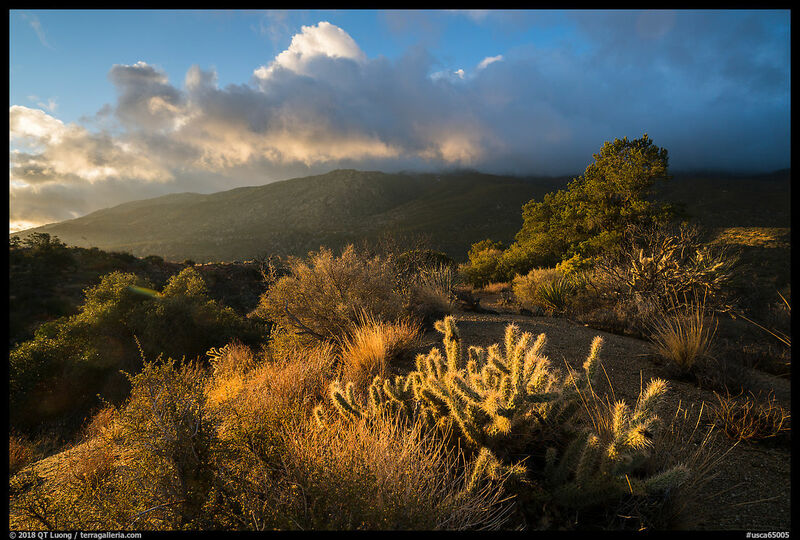 In both Santa Rosa & San Jacinto Mountains National Monument and San Gabriel Mountains National Monument, surprisingly big mountains rise near the city, with easy to access high-elevation areas that don’t require hiking. On February 22, 2018, Jefferson National Expansion Memorial became Gateway Arch National Park, our 60th national park. I traveled to St Louis, Missouri, that same week to try and extend my record of being the first to visit and photograph all the national parks, and even dusted out my large format film camera for the occasion. 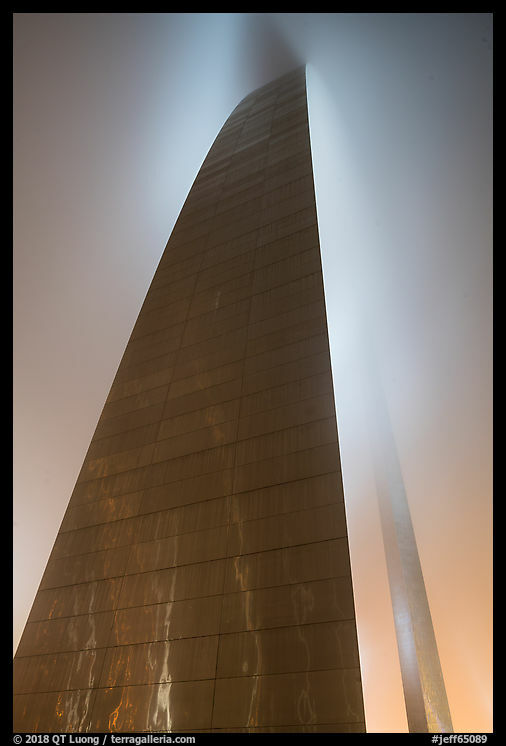 In those posts, I reflect on what I found at this most unusual national park: First Impressions, Photographing Gateway Arch, Thoughts on a Name. 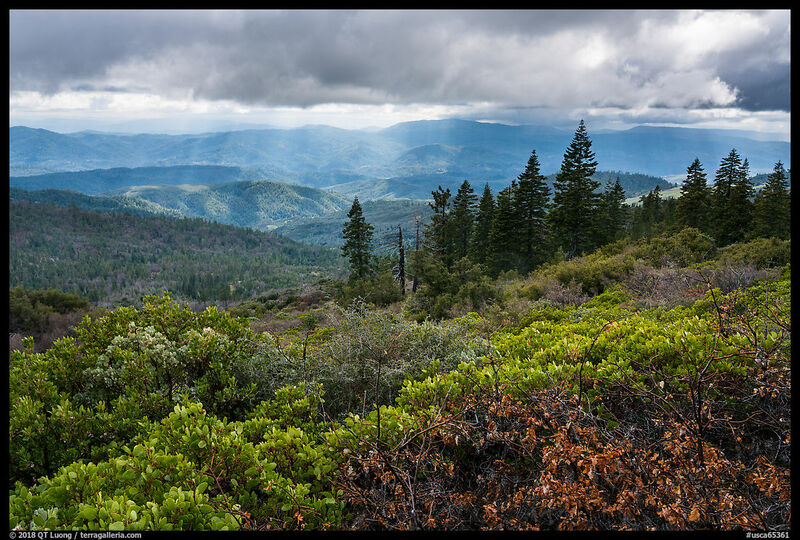 Although its southern tip is located only one hour from the San Francisco Bay Area, for most people, Berryessa Snow Mountain National Monument is more strange and remote than the Sierra Nevada, Lassen, or Shasta. In this nearby but undiscovered landscape, it is still easy to experience solitude and find little-photographed views: South of Highway 120, Snow Mountain. Where is it? Is there snow?. One of nature’s most wondrous light shows occurs during the synchronous fireflies mating season, when the bugs flash at once in a silent symphony of sparks. 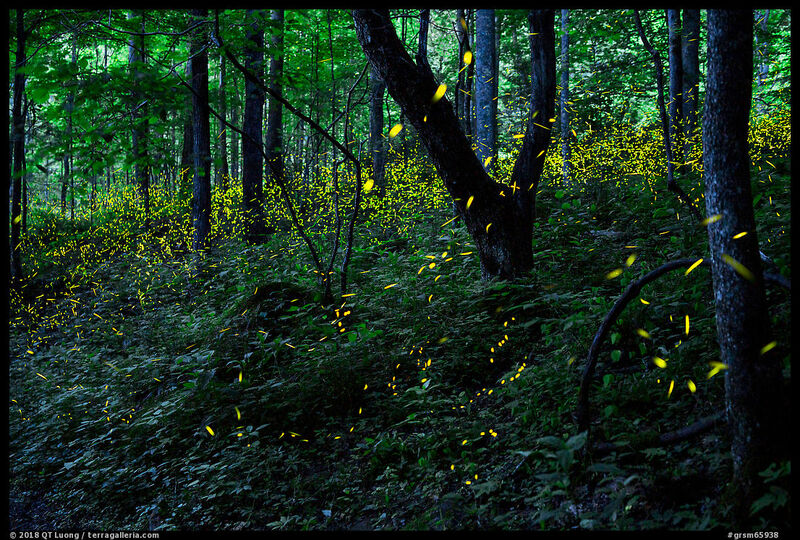 Synchronous fireflies exist only in a handful of places in the world, with Great Smoky Mountains National Park being the most well known. Armed with high-performance digital cameras unlike during my previous visit there, I returned in June to photograph the awesome event: Photographing the Great Smoky Mountains Synchronous Fireflies, Synchronous Fireflies Beyond the Smokies, Firefly Variations. Besides the fireflies, I checked out a few out-of-the-way and often understated corners of eastern national parks that I had not visited in previous trips. Those write-ups have also a few photography tips: Waterfalls in Whiteoak Canyon, the scenic gem of Shenandoah National Park, Cataloochee, the Quieter Side of the Great Smoky Mountains, Wet Places in a Dry Land, Mammoth Cave National Park, Twice the Same River: Tinkers Creek Gorge, Cuyahoga Valley National Park. However, I owe some of my favorite images of the trip to weather rather than scenery. 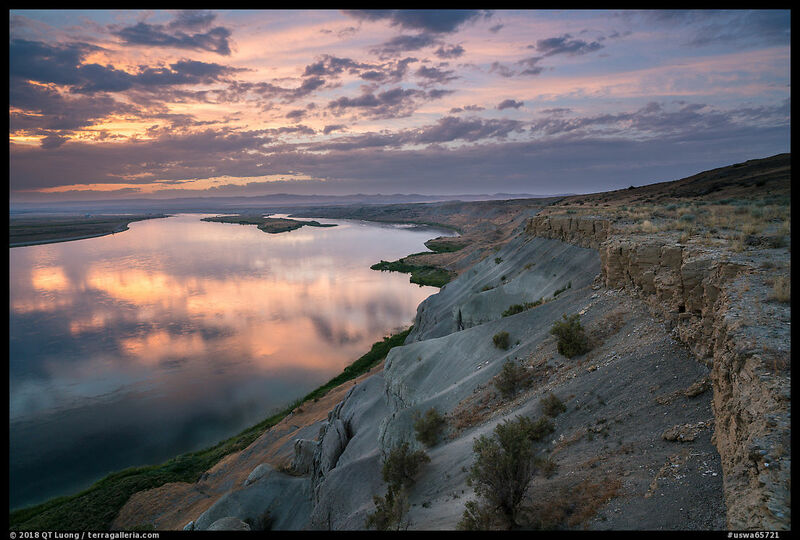 During the summer, I traveled to Hanford Reach, maybe the national monument with the most unusual history of all. Its lands were initially set apart from development not for conservation, but as a security buffer zone for the top-secret Hanford Nuclear Reservation where the plutonium for the Nagasaki bomb was manufactured, and which became the most polluted site in the Western Hemisphere. Autumn is my favorite season, but I spent so much time in the deserts that I almost entirely missed the foliage. 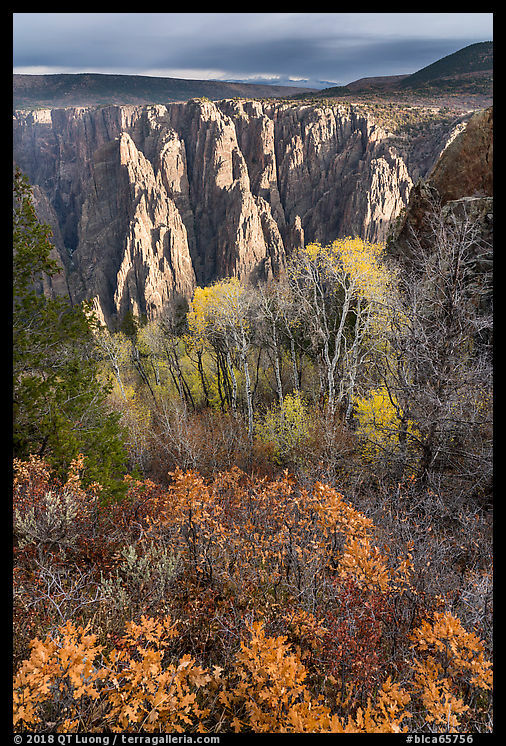 Fortunately, I made a quick stop at Black Canyon of the Gunnison National Park, at just the right time to hike two favorite moderate trails there. Mesa Verde National Park can be congested. Fortunately, there is a quieter side to the park and recent new oppourtunities. Although home to a cliff dwelling that matches Cliff Palace, Wetherill Mesa sees only a fraction of the visitation of the main area. 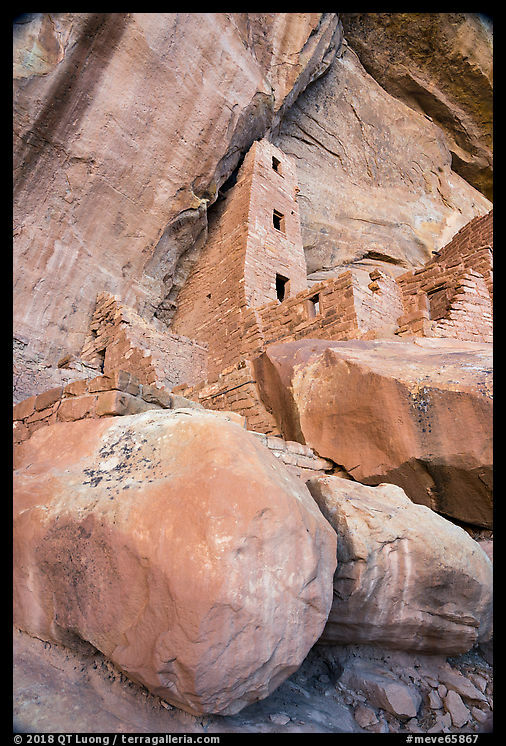 And there are a few other cliff dwellings that are even less visited, although quite famous. This year, I ended up traveling to 11 national parks and 24 other federally protected areas. Amongst the later, there were quite a few Ancestral Puebloan sites, and I’ve detailed my visits to Yucca House (the worse national monument?) 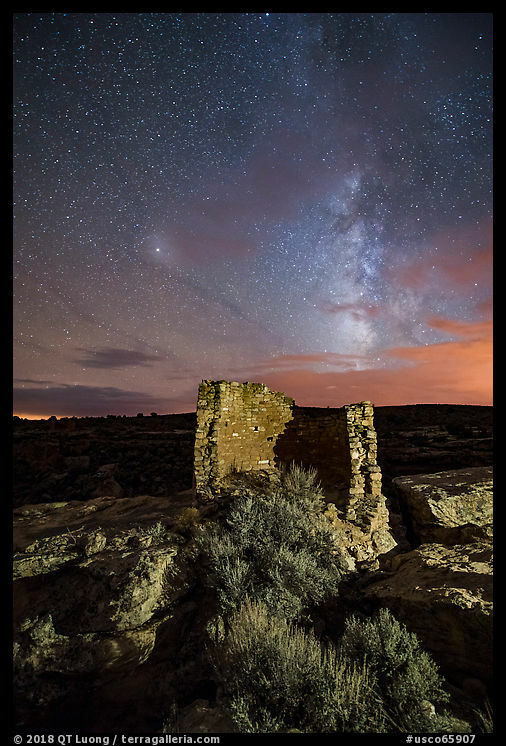 and the interconnected cultural landscape of Canyons of the Ancients National Monument. The later totally surrounds another older national monument where this last favorite photograph was made. I’d appreciate it if you would let me know which of the ten are your favorites! If you’ve read so far, thanks again for looking. Wishing you Happy Holidays, or Merry Christmas, and a great time with family and friends, full of peace, love and joy! Amongst the many new controls brought by digital processing, one of the simplest, and most often overlooked, is the possibility to change an image’s aspect ratio. One could do a lot of changes in the darkroom, but altering the aspect ratio by optical means was very difficult. Why would someone want to do that? When images have a specific function, often they need to fit a given space. Since you don’t have any leeway in fitting the page, in printed publications there is an absolute need for a fixed image size. For instance, the magazine page is typically 8 3/8″ x 10 7/8″ because a lot of press equipment was designed to produce this size with minimum waste. That’s an aspect ratio close to 4:5, and one of the reasons why film sizes of 6×4.5 cm, 6×7 cm, and 4×5 inches were popular professional choices. However, most digital cameras, especially those with “full-frame” sensors derived from the 35mm format produce images with an aspect ratio of 2:3. The obvious way to deal with that the discrepancy is to crop the photograph. But if the composition was carefully done in-camera, then it may not be possible to remove any area without degrading the composition – the hallmark of a perfect composition. An alternative way is by altering the aspect ratio. At first, this may sound anathema, since it would introduce distortion. If the photograph has people at close range in it, the distortion would make them noticeably skinny or fat. In portraits, much of the interest is centered on the human face so that the image can easily be cropped anyways, making changing the aspect ratio unnecessary. On the other hand, with images of natural subjects, altering the aspect ratio diminishes image integrity much less than one would expect. A reasonable amount of aspect ratio distortion turns out to be, surprisingly, hardly noticeable. See for example this page from the next revised edition of Treasured Lands (the fourth printing) to be published next year. Does anything look askew to you? Here is the same spread with the original aspect ratio. The problem here is that the image doesn’t fill up the width of the text. Since in every other chapter of the book, images in the “notes” section do so, that be a design oddity. That is a big no-no in book design, where consistency is the key. Now that you see both versions of the image you can see the distortion, but is it something you would have noticed without a side-by-side comparison? Did it affect the image? In my opinion, not as much as cropping it to the aspect ratio of the page space, as seen below. How did the composition change? With the crop, the curve formed by the plants in the foreground would have been cut. That curve is a significant part of the composition, since it echoes the curves of the hills in the background, therefore enclosing the rectilinear space of the field between two curves. A quick note in passing about the foreground: while it often used to add depth to a photograph, it has to complement the rest of the photograph in some way, and often having it visually relate to the background is a good way to go about it. So by cropping the image, we altered the composition, whereas by stretching it, we didn’t. Aspect ratios are not written in stone, don’t be afraid to tinker with them if necessary! By the way, speaking of Treasured Lands, it’s a great time to give the gift of the national parks with the book at 50% off for a limited time on Amazon (with coupons). The caveat is that they set price, not me, so this discount may not last!